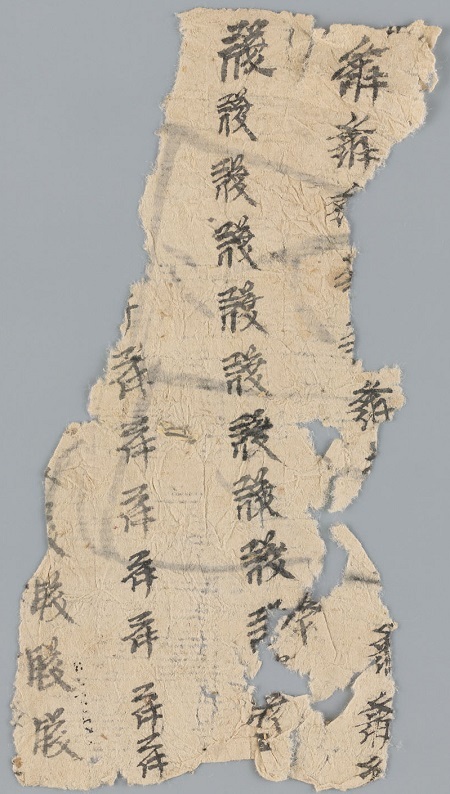 Newly Collected Grains of Gold Placed in the Palm 熧簖絒筭胎萏蝞 siw sho ki dy pa ti wyr* (Chinese 新集碎金置掌文) is one of a relatively small number of secular Tangut texts that have survived to the present day. 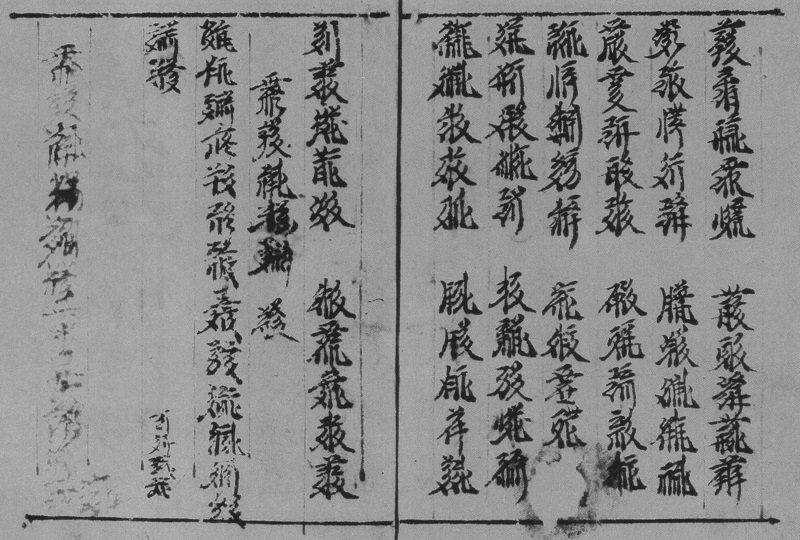 It is a non-rhyming poem comprising one hundred pentasyllabic couplets, in total one thousand Tangut characters, each used only a single time, intended for use as a primer for teaching Tangut characters, in the same way that the Thousand Character Text (千字文) was used to teach Chinese characters. It survives as a single complete manuscript copy and in a number of partial or fragmentary manuscript copies; no printed edition of the text is known — or so I thought when I wrote this post nearly three years ago. In December 2017, Jing Yongshi and Wang Rongfei published a paper describing a previously overlooked woodblock printed edition of Grains of Gold held at the Institute of Oriental Manuscripts [IOM] in Saint Petersburg. This copy is incomplete, comprising 8 folios of ten lines per folio, covering lines 20 through 98. It is unfortunately missing at least two folios at the front covering lines 1 through 19, as well as one folio at the end covering the final two lines and any colophon. The first six surviving folios are printed, but the last two folios, covering lines 90 through 98, are written in manuscript. * The Tangut phonetic transcription on this page is the "simple transcription" given in Marc Miyake's Tangut Phonetic Database Version 1.0. Miyake calls this text the Golden Guide in his ongoing translation and analysis of the text. I abbreviate the title to Grains of Gold in the rest of this post. 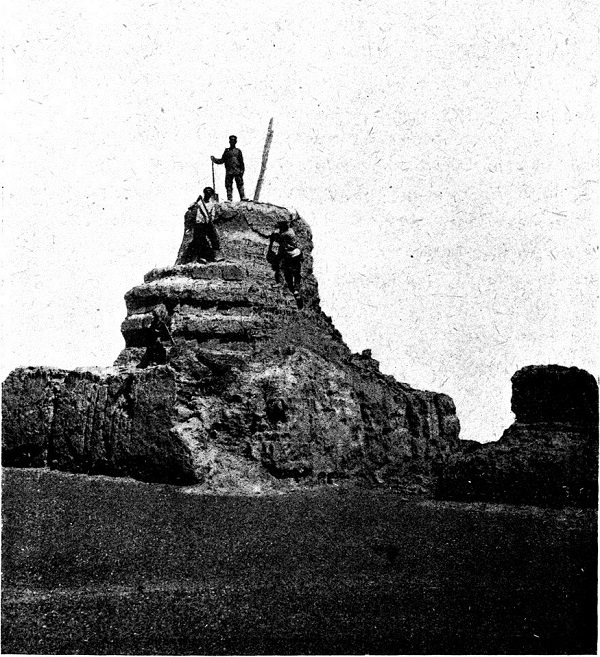 The only complete copy of Grains of Gold is a manuscript which was recovered from the fortress-city of Khara-khoto by Pyotr Kozlov in 1908–1909, and is now held at the Institute of Oriental Manuscripts (Tang. 30 Inv. No. 741). This manuscript includes an undated and unsigned preface at the start, and has a scribal colophon at the end. 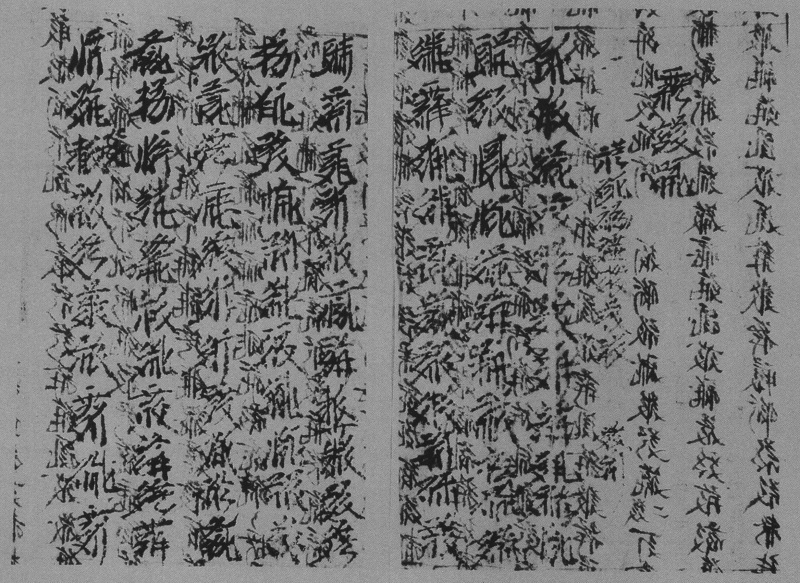 The colophon records that the copying of the text was completed on the 4th day of the 1st month (of an unstated year), and was done by someone called 聂簔脒莑篿 A'ew Pazhaver. 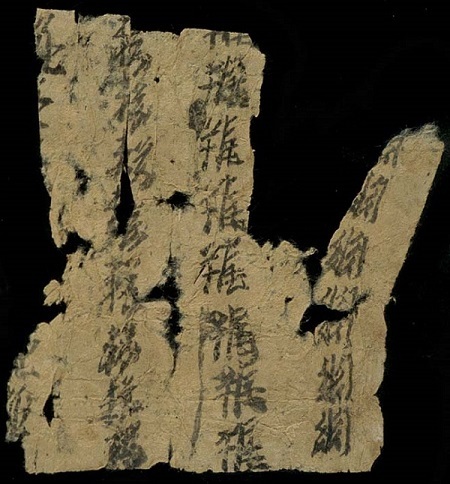 "A'ew" is a Tangut family name recorded in the Tangut vocabulary list Miscellaneous Characters (Chinese 雜字), and the given name "Pazhaver" means "prajñā flourishes", so the scribe was presumably a Buddhist monk. The fact the the copying was completed on the 4th day of the 1st month of the year suggests that the scribe may have specially copied out the text for the new year. The second example of this text from Khara-khoto is an incomplete manuscript version, lacking the last 19½ lines, written out on the back of a Buddhist manuscript (IOM Inv. No. 742V). In the facsimile reproduction, shown below, this text is not so easy to read because of interference from the text on the other side of the manuscript. 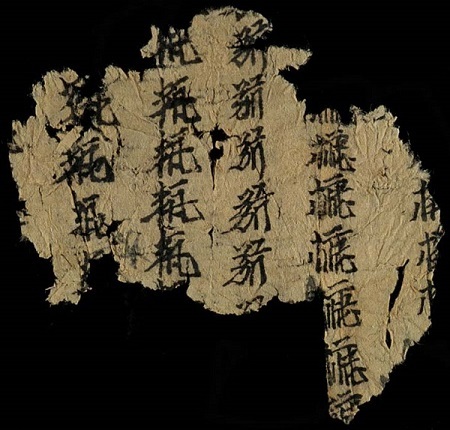 In 1989 twenty-eight fragmentary leaves of a manuscript copy of Grains of Gold were discovered in cave B56 of the northern Mogao caves at Dunhuang (Ningxia Provincial Archives B56:14). 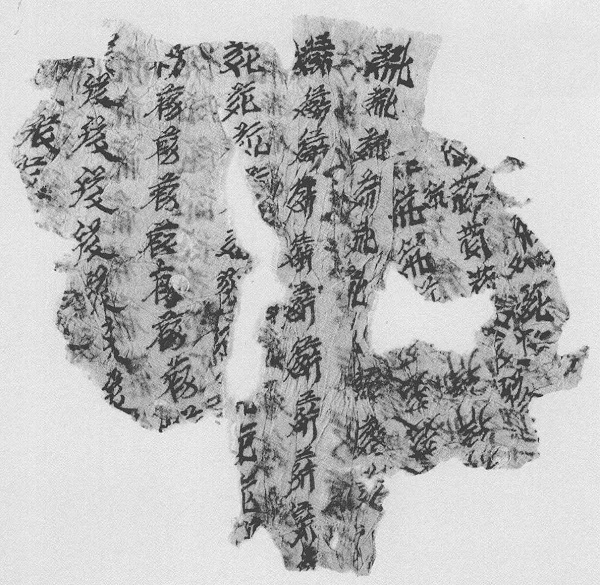 It comes as little suprise that amongst the thousands of fragments of Tangut texts recovered by Aurel Stein from the fortress city of Khara-khoto in 1914, and which are now held at the British Library in London, there are several fragments of at least two manuscript copies of the Grains of Gold. 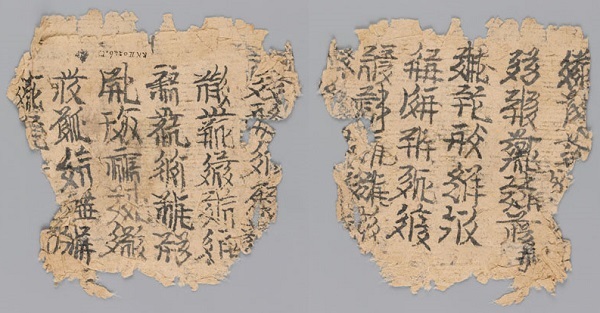 One copy is represented by a single fragment covering lines 80b through 87a, written over two sides of a single page, with two half-lines per column. The three fragments below, covering lines 32a–338b and 52a–63b, are also written over both sides of the page, but they only have one half-line per column, so do not come from the same copy of Grains of Gold as Or.12380/2581. Or.12380/2476 seems to be written in a different hand to 2477 and 2478, but given that the three fragments have the same format and were found together it is likely they all represent a single copy. 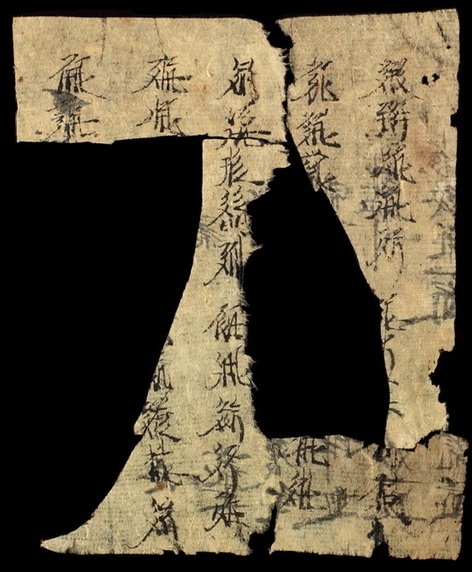 Two other fragments, which have not yet been digitised under the International Dunhuang Project, also have only one half-line per column, cover lines 64a through 69b (immediately following on from Or.12380/2477), and are written in the same distinctive hand as 2477 and 2478, so certainly come from the same copy as Or.12380/2476 through 2478. Only one side of these two fragments is shown in Documents from Khara-Khoto in the British Library, but the reverse can be assumed to comprise lines 70a–75b. 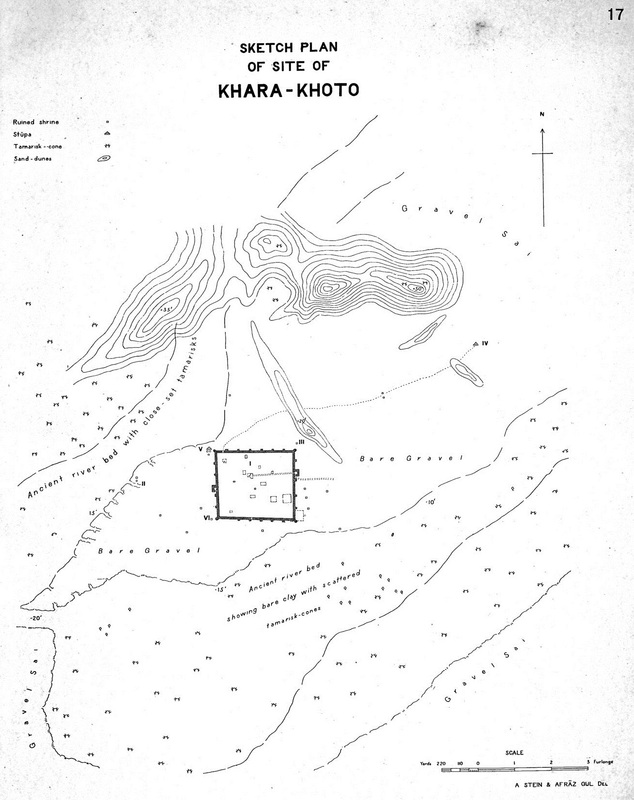 Documents from Khara-Khoto in the British Library 英藏黑水城文獻 (Shanghai, 2005–2010) vol. 2 p. 31. However, the main subject of this post is not a copy of the text of the Grains of Gold as such, but a number of fragments of student practice pieces where the thousand individual characters that comprise the text of the Grains of Gold have been written out many times as a writing exercise. 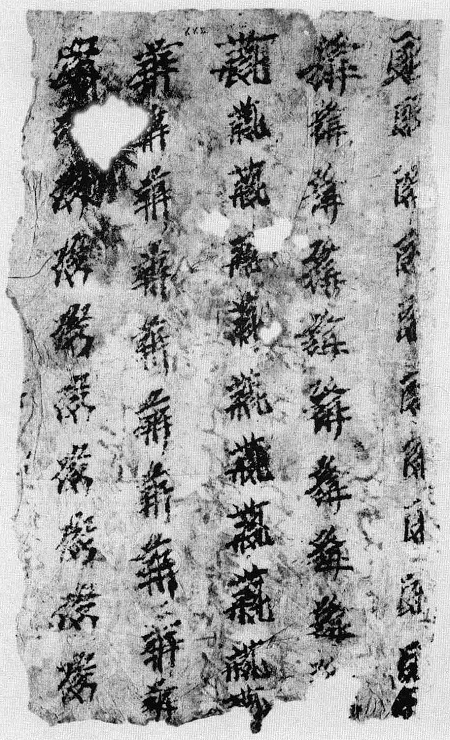 Presumably these pieces were produced by novice monks learning to write the Tangut script under the guidance of an ordained monk, although it is not clear whether they all represent a single copy made by a single student, or whether they are the product of several students (I am tempted to think the former, as no fragments that I have seen so far duplicate the same section of text). The handwriting of these pieces is at best mediocre, so I do not think that they were written with the intention of improving calligraphy, but were simply intended to help the student meomorise the characters by writing them out many times. 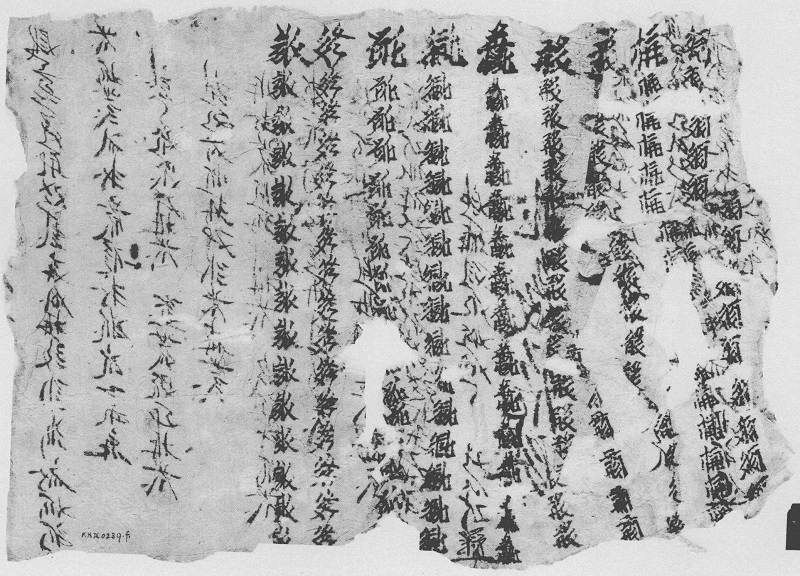 All the fragments of Grains of Gold practice pieces listed below were collected by Aurel Stein from the Tangut fortess city of Khara-khoto (see Appendix below), and are now held at the British Library. 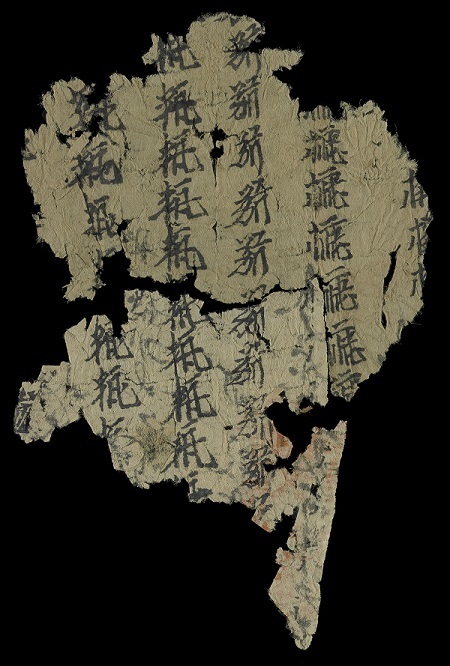 The first version of this post only covered six fragments of practice pieces which had been digitized under the International Dunhuang Project (IDP), but I subsequently gained access to Documents from Khara-Khoto in the British Library 英藏黑水城文獻 (Shanghai, 2005–2010) vols. 1–4, and have been able to add several more fragments for which images are not yet available in IDP. The current version of this post covers fourteen fragments, listed in the table below, and has been significantly rewritten since first posting. 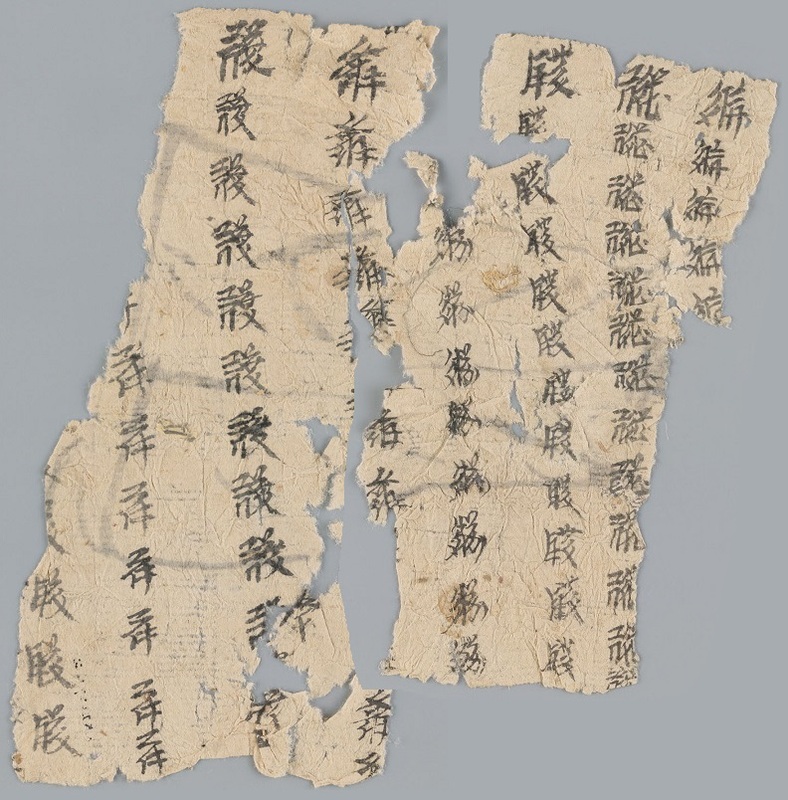 The large majority of extent practice pieces in which a student has copied characters of a Tangut text multiple times are copies of the text of Grains of Gold, but there are a few other examples of practice pieces in the British Library that are not copied from Grains of Gold (e.g. Or.12380/120 (A) & (B), Or.12380/231, and Or.12380/3599). These may be the subject of a future blog post, and are not discussed further in this post. Or.12380/36, 39 and 73 are small fragments with a few characters copied out multiple times in vertical columns, from right to left across the page. The reverse of Or.12380/39 is blank; the reverse of Or.12380/36 is mostly blank, with one complete and a couple of partial cursive Tangut characters along the bottom; and the reverse of Or.12380/73 has some cursive Tangut writing and part of a red seal impression. Or.12380/36 and 73 share the same characters from Grains of Gold (chars. 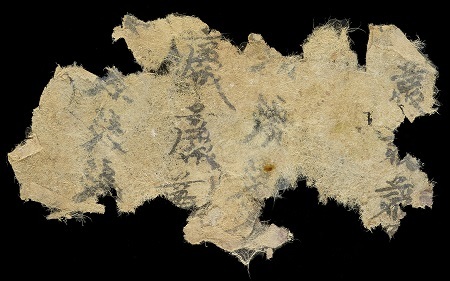 88–92), and it is evident that they are two fragments of the same sheet of paper, torn across the middle (stitched image). 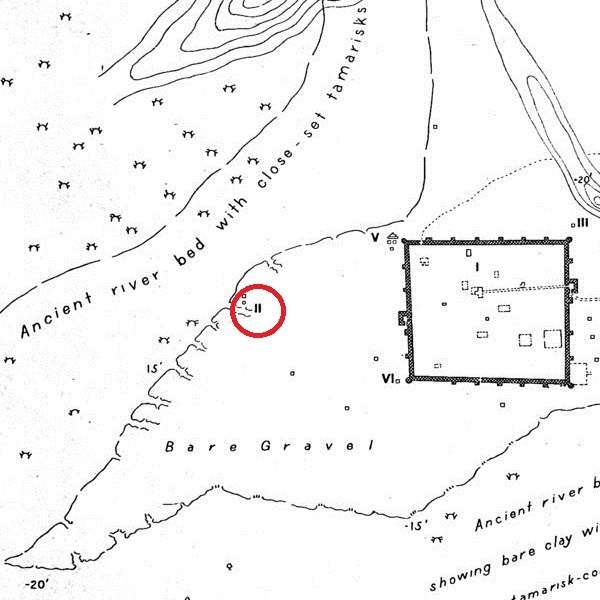 The characters on Or.12380/39 appear washed out compared with those on 36 and 73, but as this fragment covers near-adjacent characters to 36 and 73 (chars. 81–84), it may still come from the same copy. 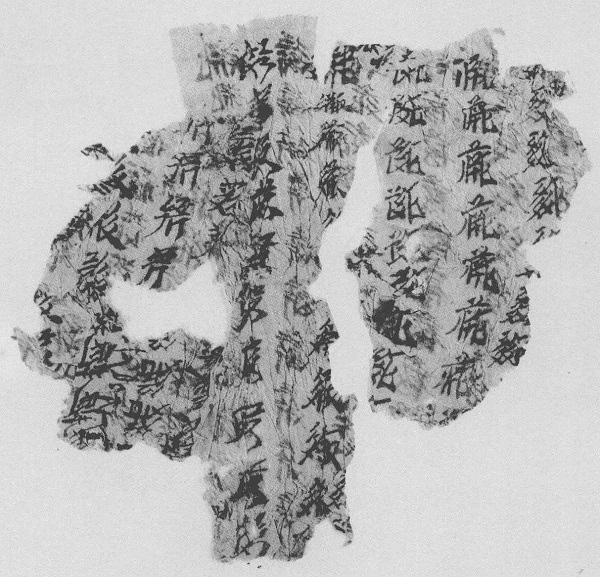 Or.12380/2623 and 2624 are two somewhat larger fragments, with columns of Tangut characters from the Grains of Gold on one side of the paper, and a drawing of what appears to be the lower part of a human figure dressed in a robe on the reverse. They clearly join together as a single piece of paper that was torn in half down the middle (stitched image). Or.12380/2625, which was found with these two pieces, and is very similar is shape and size, can be considered to come from the same copy, but is discussed under Preface below. The characters to be copied out by the student (chars. 371–378) are written in a row along the top of the sheet of paper, from right to left, in a larger size and with a thicker brush than the characters copied out in a column below them. 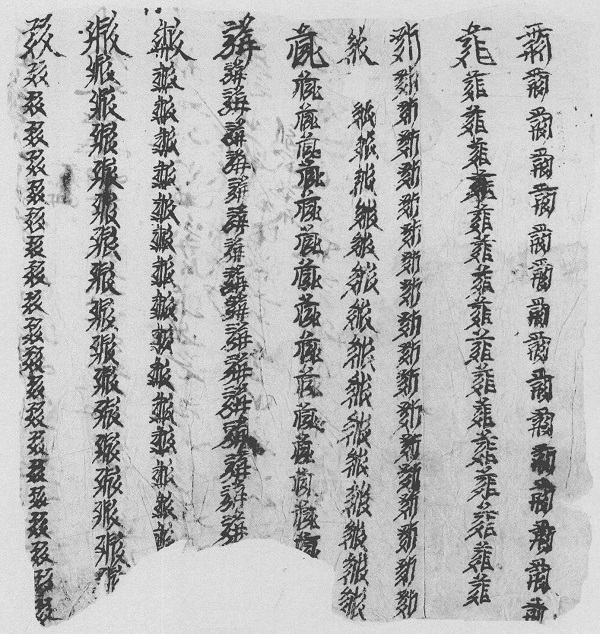 It can be conjectured that the head characters were written out along the top of a blank sheet of paper by the teacher or by a more advanced student (the calligraphy is really not very impressive), for the student to use as a model, copying each character at least twelve times in a column descending from the head character. Or.12380/354 and 365 were clearly joined together as a single piece of paper, and together form the largest fragment that I have identified thus far. 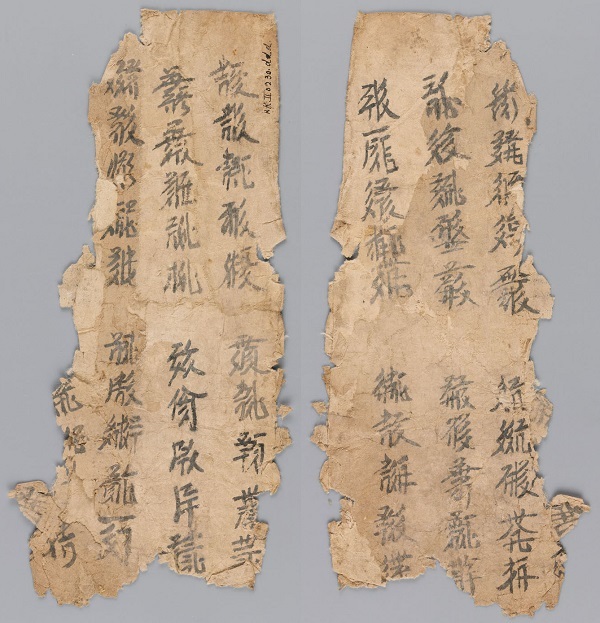 Unlike all the other fragments of practice pieces, which only utilise one side of the paper, these two fragments have the practice characters written on both sides of the sheet of paper. 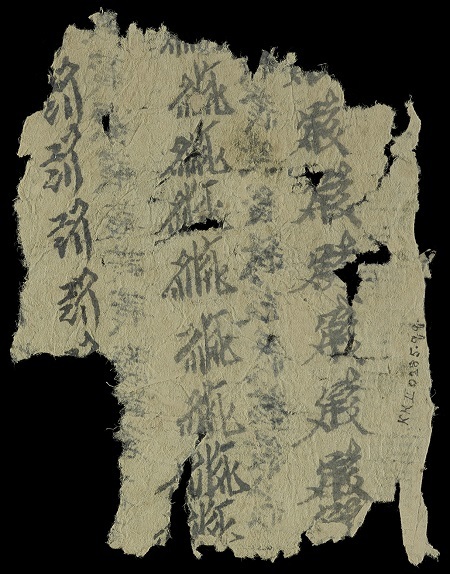 That both sides of this sheet of paper were used may indicate that it comes from a different copy from the other fragments, or it may simply mean that the student wrote the final few characters on the back of the paper rather than starting a new sheet. One side of the paper comprises eight characters from lines 98 to 99 (chars. 973–981, with char. 979 inadvertently omitted), almost at the end of the text. 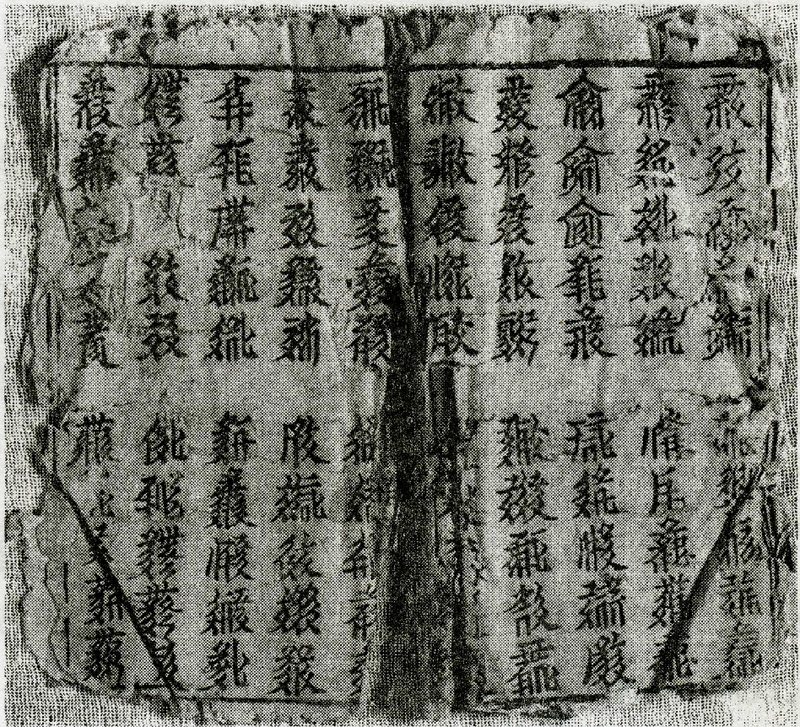 The other side of the paper comprises eight characters which do not come from the thousand characters of the poem itself, but are the end title: "Grains of Gold [with] preface [in] one volume, finished". This end title also occurs at the end of the IOM copy of Grains of Gold, but with a couple of minor differences: a different word is used for "volume"; and the grammatical particle before "finished" does not occur (see image of last page of the IOM copy at the top of this post). As with Or.12380/2623 and 2624, the characters to be copied are written in large characters along the top of the page, from right to left, and the student's characters are written in smaller characters in columns running down the page. The student's characters for the final title on the back of the paper are significantly smaller than the characters on the other side, allowing up to sixteen characters per column compared with about ten characters per column, but whether this is because these two sections of the text were written by different students, or by the same student using different brushes, I cannot tell. British Library Or.12380/354 verso : End title = "Grains of Gold [with] preface [in] one volume, ..."
British Library Or.12380/365 verso : End title = "... finished"
Or.12380/306 (F) is a small fragment of paper, damaged on one side, with two columns of three practice characters written on each side (chars. 315–316 on one side, and chars. 330–331 on the other side). Compared with the other fragments of practice pieces, the columns on this fragment are very widely spaced, with plenty of room for an additional column of characters between each actual column. 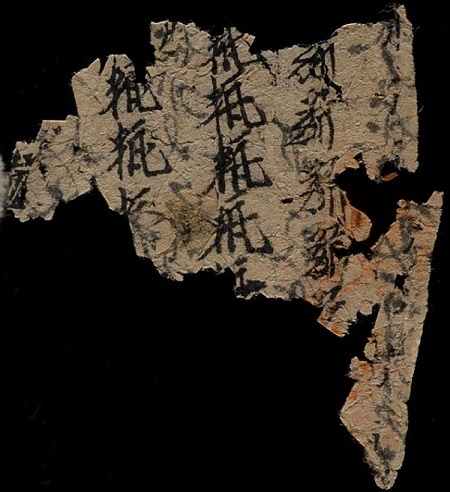 Or.12380/3540 is a very small fragment of paper, which was identified as a writing practice piece by Shi Jinbo 史金波 in Xixia Studies 西夏学 vol. 5 (September 2010) pp. 1–16 《英藏黑水城文献》定名刍议及补正. This fragment is rather confusing, as text appears to be written in two orientations. Two large model characters (chars. 318–319) to be copied are clearly visible, with the start of the columns of student copies, in very small writing, partially visible. A third large, model character is partially visible behind char. 318. A column of student copies of char. 315 is also visible, but running along the top of the fragment, from left to right, perpendicular to chars. 318–319. 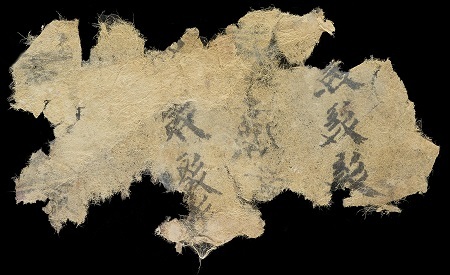 The reverse of this fragment is not given in the Shanghai publication, but unclear images of practice characters show through the paper from the other side. 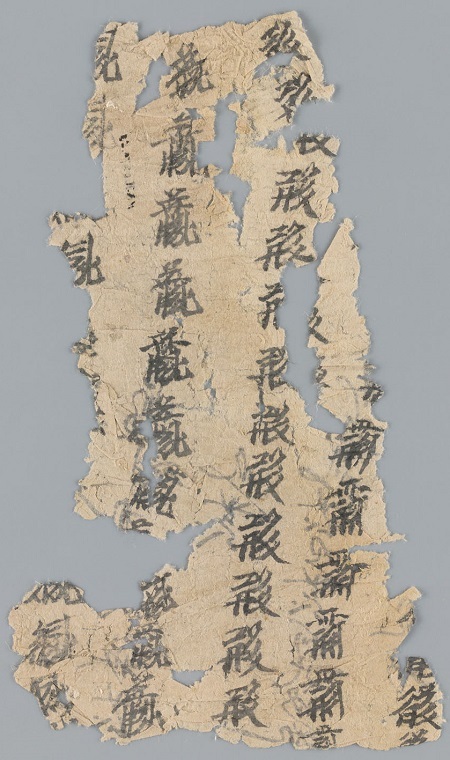 This piece is probably part of the same sheet of paper as Or.12380/306 (F). 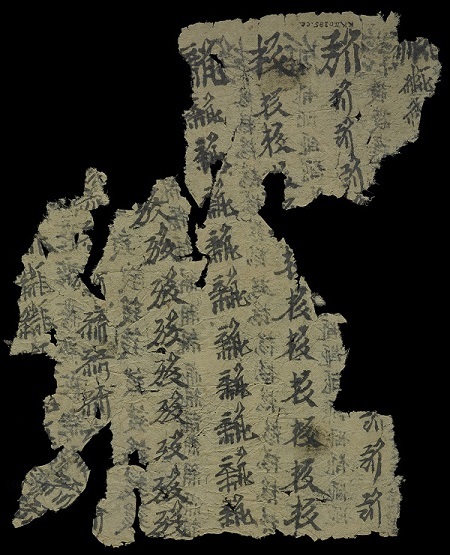 Documents from Khara-Khoto in the British Library 英藏黑水城文獻 (Shanghai, 2005–2010) vol. 4 p. 230. Or.12380/3668 (C) has not yet been digitised under IDP. 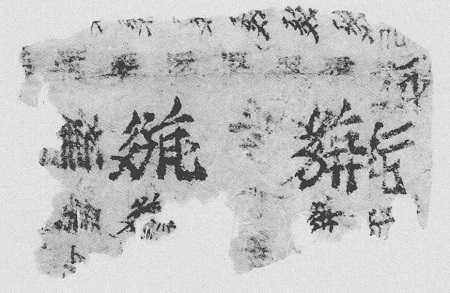 It covers characters 497–504 on one side, and characters 485–493 on the other side, but a damaged piece of paper covering characters 497–499 and 492–493 has been mislocated to the wrong side. 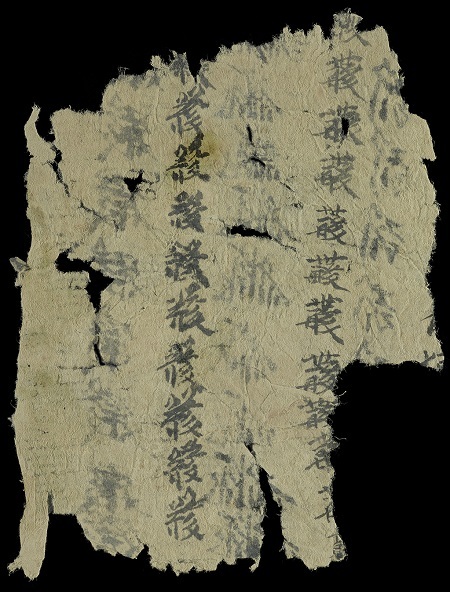 Documents from Khara-Khoto in the British Library 英藏黑水城文獻 (Shanghai, 2005–2010) vol. 4 p. 310. 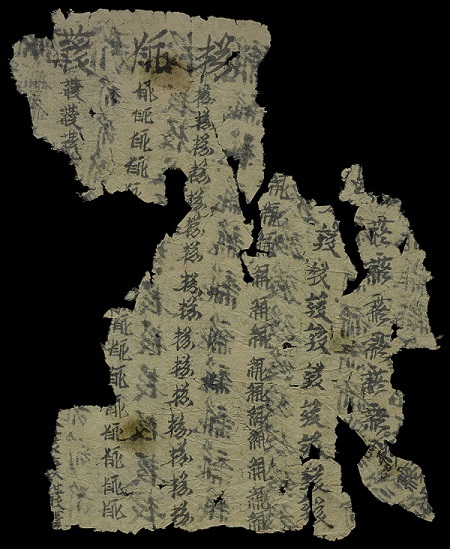 Documents from Khara-Khoto in the British Library 英藏黑水城文獻 (Shanghai, 2005–2010) vol. 4 p. 309. Or.12380/2078 and 2079 together cover characters 934–941, corresponding to the end of line 94a through to the start of line 95a. 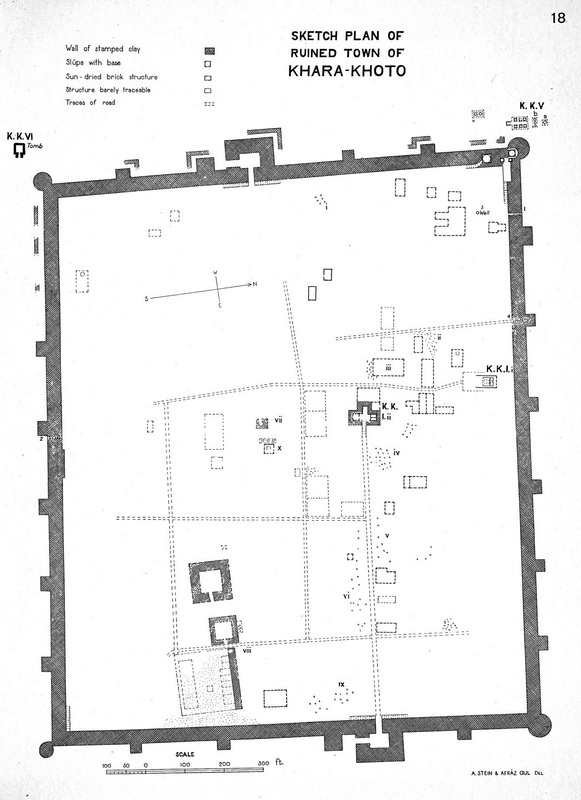 Documents from Khara-Khoto in the British Library 英藏黑水城文獻 (Shanghai, 2005–2010) vol. 2 pp. 322–323. Or.12380/2625 does not cover characters from the Grains of Gold poem itself, but comprises five characters from near the end of the preface to Grains of Gold. This indicates that students not only copied out the entire one thousand unique characters of the Grains of Gold poem as an exercise, but they were also expected to copy out the individual characters of the preface to the poem. When I first wrote this post Or.12380/2625 was the only fragment covering the preface to Grains of Gold that I was aware of, but I subsequently gained access to Documents from Khara-Khoto in the British Library, which includes reprints of several other fragments of the preface which have not yet been digitised under IDP. Or.12380/3517 is a large fragment with ten columns of practice characters covering part of the preface to Grains of Gold, including the five characters on Or.12380/2625 (with the two preceding characters and three following characters). This fragment is from the top of the sheet of paper as it has the large model characters to be copied running along the top, from right to left, as is the case with Or.12380/2623 and 2624. On the other hand, we can deduce that Or.12380/2625 is not from the top of the sheet as it only covers the smaller characters copied by the student. 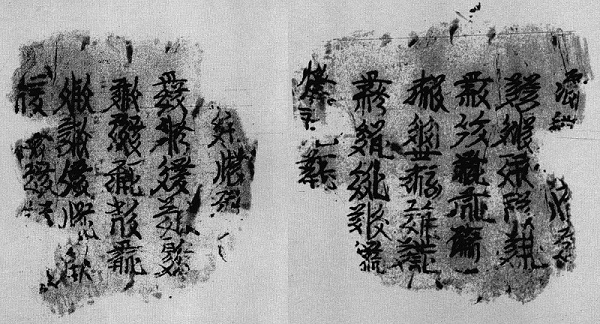 As the reverse of both 2625 and 3517 have similar cursive Tangut writing, we can conclude that 2625 and 3517 are two parts of the same sheet of paper that has been torn in half across the middle. 3517 has about fifteen copied characters per column, and 2625 has about twelve copied characters per column, meaning that each character was copied out at least twenty-seven times. However, as the columns of copied characters continue beyond the bottom edge of 2625, it is possible that 2625 may only be the middle of three pieces that the original sheet was torn into, and so the number of times each character was copied may be closer to forty. The empty space on the left side of the sheet of paper is unexpected, as the preface continues on for another twenty-one characters, and the last chararacter on this sheet is actually the start of a new sentence. 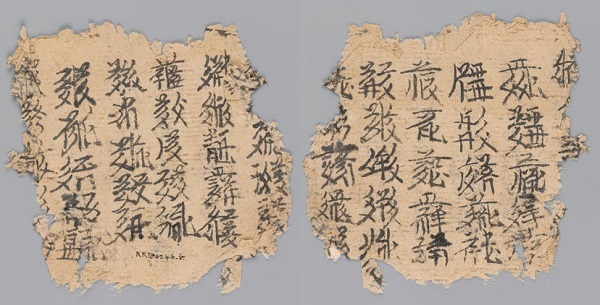 Documents from Khara-Khoto in the British Library 英藏黑水城文獻 (Shanghai, 2005–2010) vol. 4 p. 212. 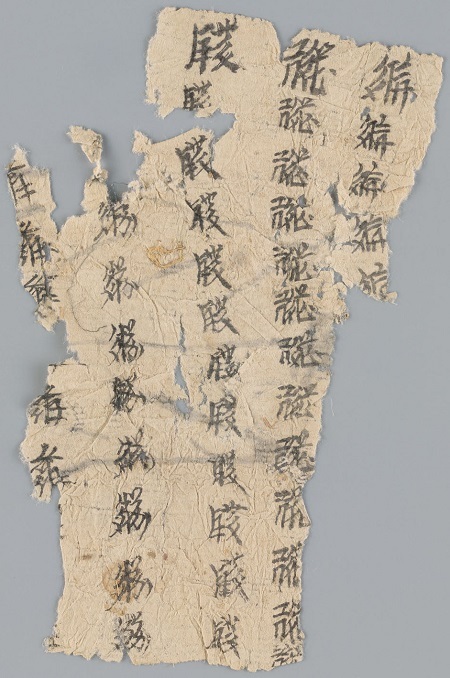 Or.12380/3558 is another large fragment, with nine columns of up to twenty practice characters. As with Or.12380/3517, the large-sized characters to be copied are written in a row along the top. This fragment covers characters 45–43 of the preface, and was no doubt part of the same roll of paper that Or.12380/3517 and 2625 come from. 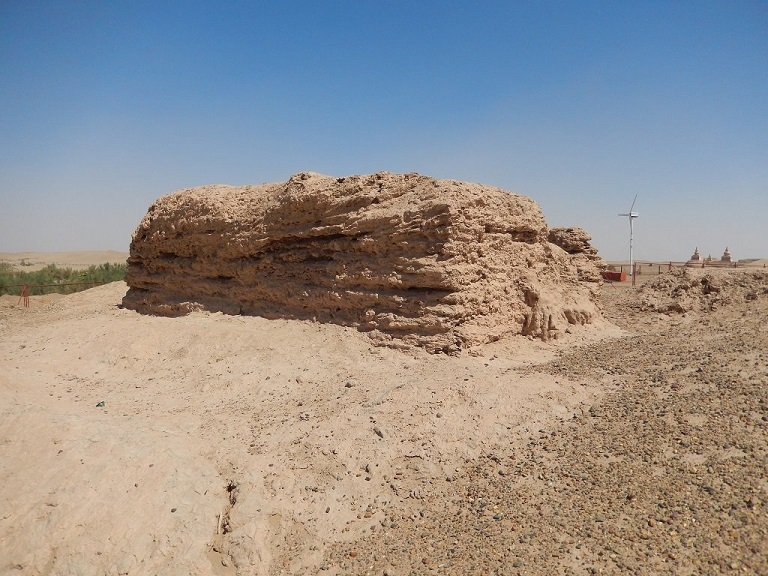 Documents from Khara-Khoto in the British Library 英藏黑水城文獻 (Shanghai, 2005–2010) vol. 4 p. 247. This section of the preface covers parts of two sentences, which I translate below. As with the above section of the preface, the text is not written in plain prose, but has a semi-poetic structure, with two strictly parallel seven-character clauses following the word introductory word "Now", and two loosely parallel six-character clauses following the introductory word "Therefore". Now, following in the footsteps of the ceremonial way [trod by] our ancestors, I hope to make a contribution to the teaching of the people of today. Therefore, in front of one's eyes urgently needed meanings have been extracted and gathered together in a single volume. Jing Yongshi (景永时) and Wang Rongfei (王荣飞). 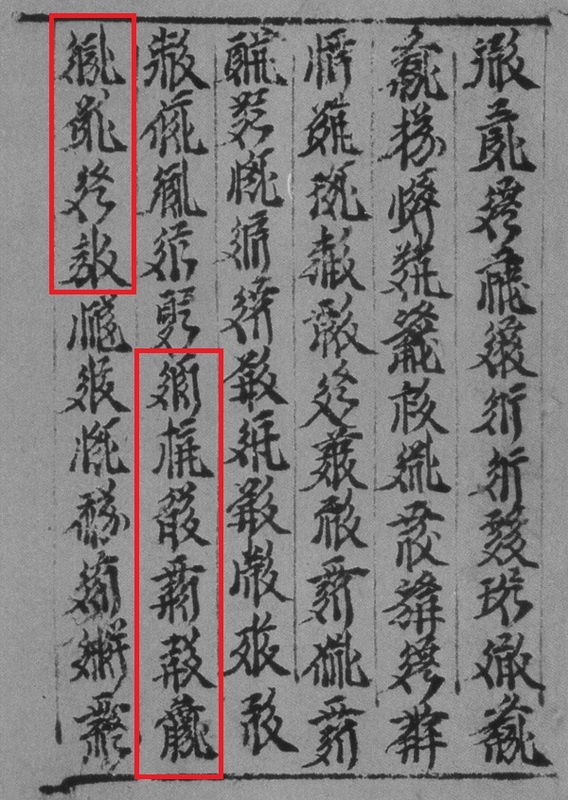 未刊布的西夏文刻本《碎金》考论 [The Textual Research on Unpublished SuiJin in Block-printed Edition of Tangut Script]; in 《敦煌学辑刊》 [Journal of Dunhuang Studies] 2017.4: 8–11. Kotaka, Yuji (小高裕次). 西夏文『新集碎金置掌文』の研究 [A Study of "Gold Nuggets in the Palm"] part 1, part 2, part 3, part 4, part 5, and part 6. Kychanov, E. I. (Кычанов Е. И.). «Крупинки золота на ладони» – пособие для изучения тангутской письменности ["Grains of gold on the palm" — a manual for the study of Tangut writing]; in Жанры и стили литератур Китая и Кореи [Genres and Styles in Literatures of China and Korea] (Moscow, 1969) pp. 213–222. Miyake, Marc. The Golden Guide (2010–). Nie Hongyin (聂鸿音) and Shi Jinbo (史金波). 西夏文本《碎金》研究 [Study of the Tangut text "Sui Jin"]; in 《宁夏大学学报》 [Journal of Ningxia University] 1995.2. The fragments of the Grains of Gold and Grains of Gold practice pieces held at the British Library were all collected by Aurel Stein from site K.K. 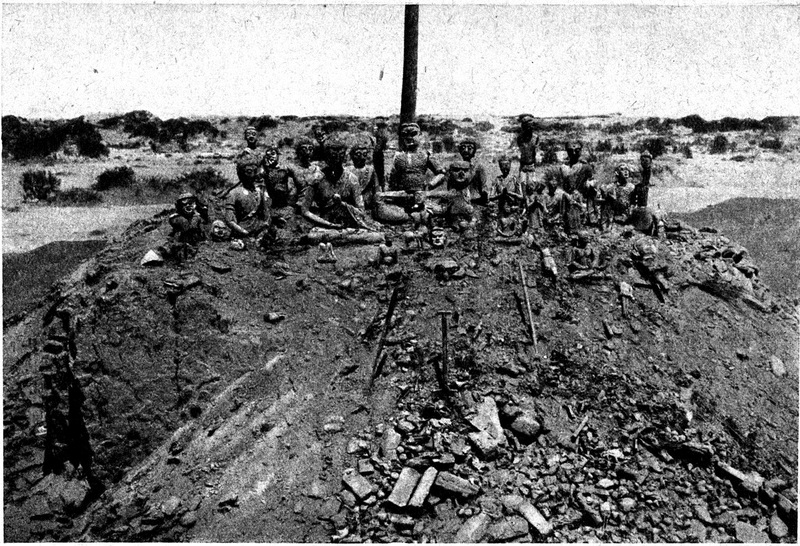 II at Khara-khoto during eight days at the end of May 1914, five years after Kozlov left the site. K.K. 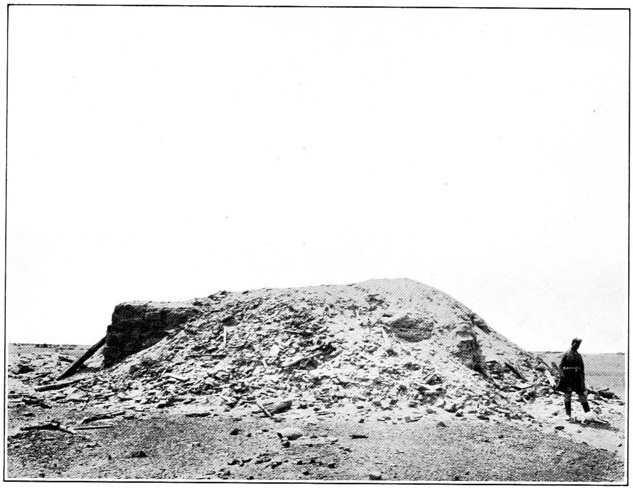 II was Stein's designation for the ruined remains of the sepulchral stupa (or suburgan) situated 400 m west of the city walls, inside of which Kozlov found the great majority of the books and scrolls that are now in the Institute of Oriental Manuscripts in Saint Petersburg. In conclusion, passing reference may be made to the great quantity of written pieces torn into very small size that were discovered amidst the wreckage. It seemed difficult to believe that their reduction to scraps, often of minute size, could be due solely to careless digging, though of this, too, there was unfortunately evidence in booklets and convolutes that clearly had been cut through by the hoe or pickaxe. Is it possible to assume that those scraps owed their survival to a quasi-religious custom which compelled the preservation of all writing, however much defaced or injured? The present Chinese practice of carefully collecting all bits of ‘waste paper’ from streets, shops, &c., in specially set up boxes, with a view to ceremonial burning would offer a certain analogy. 2015-05-30: Initial version, covering Or.12380/36, 39, 73, 2581, 2623, 2624, and 2625. 2015-06-03: Or.12380/354 and 365 added. 2015-06-05: Or.12380/1111–1112, 2078, 2476–2478, and 3540 added. 2015-06-06: Or.12380/3517, 3558, and 3668 (C) added. 2016-05-27: Colour images of Or.12380/2078 and Or.12380/2079 added. 2017-01-01: Replaced Tangut glyph images with Unicode Tangut characters. 2018-04-29: Discuss newly-identified printed edition (IOM Inv. No. 7676).